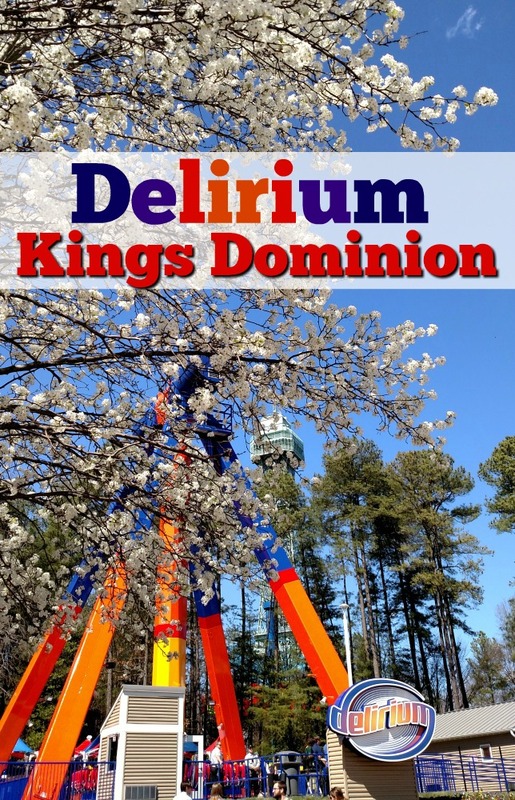 / Experience Delirium at Kings Dominion! 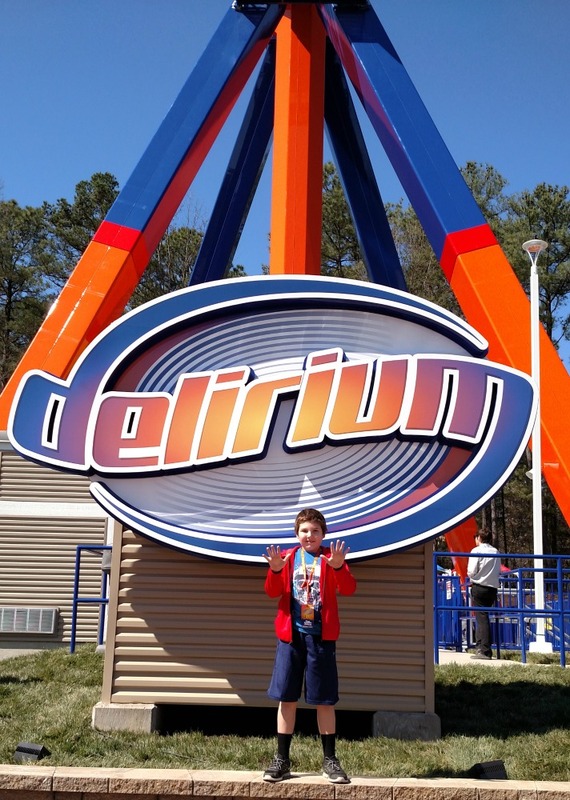 Experience Delirium at Kings Dominion! Are you as excited as we are about amusement park season here in Virginia! Our favorite park, Kings Dominion, opens this Friday, March 25th! Still making plans for Spring Break or enjoying a staycation next week? 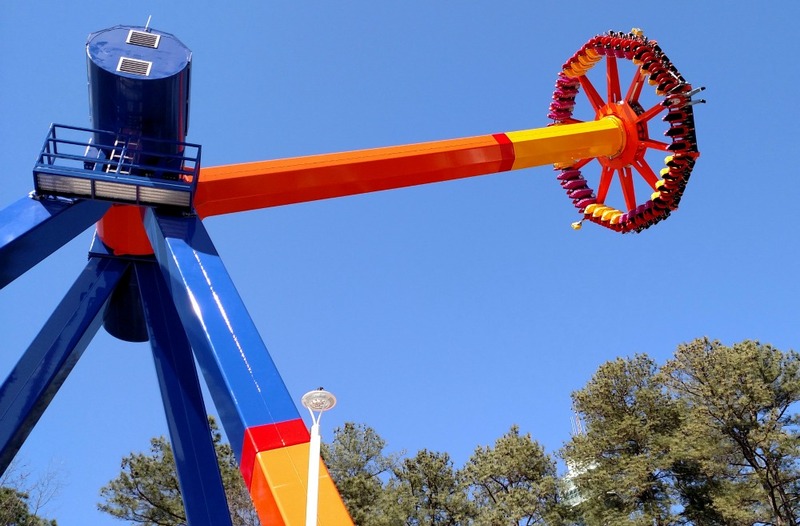 You can have some serious Spring Break fun at Kings Dominion. The park will be open 10 straight days through Spring Break and then open on weekends through Memorial Day. After Memorial Day, the park is open daily. Check out the park calendar for daily hours of operation. Trust me you will want to be one of the first to experience, Delirium, Kings Dominion’s newest thrill ride. New Ride for 2016! Delirium! We had an amazing opportunity to be one of the first to ride Kings Dominions newest ride, Delirium! Wow! I LOVE this ride! It is pure fun! My son loved it so much that he rode it ten times in a row! Check it out for your self. I made a video of my ride to share with you. The 3rd Annual Spring Bloom Festival starts April 16th and runs through May 15th, a whole month of beautiful flowers and special events. We are heading to the park during Spring Break week as part of our staycation. We love going to the park in Spring and in the Fall because the weather is simply gorgeous in VA during those seasons. In the summer, we hit the waterpark. But this trip will be all about the rides and activities. Of course, we are going to take advantage of all the beautiful spring blooms for some wonderful photo opportunities. If you want to experience all 3 seasons at the park, 2016 Season Passes are on sale now. I used to work at the 7-11 that was across the road from there and lived in the nearby town of Sparta when I was younger. Never went there though. Looks Fun! We never been here. That roller coaster photo made my stomach drop. I can’t believe I went on those when I was a teenager.We live about an hour and a half away, but have never been to Kings Dominion. I’ve never enjoyed amusement parks too much, except for when I was a kid, of course. I’m too old now and the heat and crowds get to me. I’ve only been to Kings Dominion in the summer. It sounds like a great idea for a stay-cation! I have not been to an amusement park in years but this looks like a fun one! Cool upcoming events too. Sounds like a fun festival!! Thanks for bringing back memories. I visited Kings Dominion only once, in the seventies, not long after they opened. We loved riding the Loch Ness Monster coaster. I don’t think I have ever been to Kings Dominion. We drive past it every year on our way to North or South Carolina for summer vacation and always think “hey we should go there sometime.” Lol. We live about 20 minutes from Hershey Park though, so that is our go-to amusement park destination. 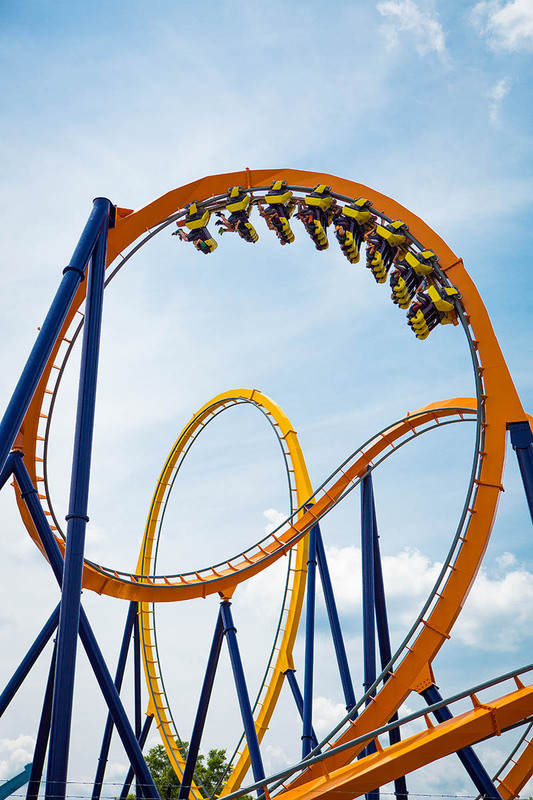 Kings Dominion is great for family during spring/summer! Wow this new ride at Kings Dominion looks awesome! Oh this looks so scary!!! I am going to go with nope for me! I love rides like this! The faster, higher the better! We are headed to Richmond in August. I think this should be on the kids list of places to visit.